This book consists of 25 biographical sketches of figures from Greek Mythology. It’s one of those books that grew on me, and the reason it grew on me was a few of the chapters toward the end were engaging, such as those about Heracles, Jason, and Helen. This also means that the number of stars I gave it is fairly meaningless. It was in no danger of getting 5 stars nor 1, but could’ve been anywhere in between at various points in my reading. The problem with the book is that the unit of interest isn’t the myth, i.e. not the story, but rather the mythical figure, the various gods and heroes of ancient Greece. Because of this organization, some of the chapters have a tight and memorable story, such as that of Heracles and his 12 labors, while others are just piles of genealogical facts mixed with odd mythical happenings (e.g. who burst from whose forehead) and tossed with that mythical figure’s bit parts in larger myths. The book is a good, solid reference book for schoolkids doing research on Greek Mythology, but much of it’s not very engaging to read. If you’re looking for a collection of biographies of mythical Greeks (i.e. a reference for children,) then this is a good book for you. If you’re looking to get your kids intrigued by the Greek myths, then you might want to shop around. Put another way, if you’re looking for a version of what Neil Gaiman did with this “Norse Mythology,” only for the Greeks, this isn’t it. wings with which to fly. past the top of the woods. steps and its ladder rungs. its poop to this very day. If you’re familiar with any Chinese folklore, it’s probably this story. But you probably know it as “Journey to the West.” It’s not only been released in numerous editions as a novel, it’s also been adapted for film, stage play, and I’m sure there must be a video game of it out there. If you’re thinking, “Chinese folklore? Sounds boring.” Think again. This is a superhero story. Monkey, also known as the Monkey-King and “Great Sage Equal to Heaven,” is an immortal who has all manner of supernatural powers. He can fly. He can make copies of himself. He can transform himself—either disguising himself as another being or appearing as an inanimate object. He has an iron truncheon that can be the size of a sewing needle or a mile long and which is indestructible. Wielding said staff, he can defeat armies or deities. In fact, the flaw in this story isn’t a lack of adventure or thrill. On the contrary, it’s one adventure after the next. If anything, the flaw is “Superman Syndrome.” That’s what I call it when the hero is so ridiculously overpowered that even when he’s fighting gods, dragons, or whole armies there’s still no doubt about the outcome. Of course, the Monkey does eventually meet his match in the form of the Buddha. The Buddha defeats Monkey not in combat, but in a bet. That event shifts the direction of the story. In the early chapters, Monkey is goes about heaven and earth arrogantly wreaking havoc. He’s not altogether detestable. He does have his redeeming traits, but he’s insufferably arrogant and mischievous. After he’s imprisoned following his run-in with the Buddha, a monk is assigned to go to India to bring back scriptures (hence, a “journey to the west”) to China. Monkey is assigned to be the monk’s guardian and along with two others that they pick up along the way (Pigsy and Sandy) the monk is escorted on his journey. The party faces one challenge after the next, and the trip is long and arduous. Some of the challenges require brute force but in many cases they are battles of wits. So while Monkey may be overpowered, he does experience personal growth over the course of the story. The story is told over 30 chapters, each set up with a cliffhanger. I enjoyed this translation by Arthur Waley. It is end-noted, which is useful given the historic and cultural nuances that may not be clear to readers. It should be noted that this is unambiguously a Buddhist tale. There is a bias against Taoists and other non-Buddhist religions evident throughout the story. It’s not just the fact that the Buddha easily defeats Monkey when no other deity or group of deities can, there’s a steady stream of anti-Taoist sentiment. So, Taoists and Chinese Folk Religion practitioners be warned, I guess. I would recommend this book for fiction readers, particularly if you have an interest in the superhero genre or Chinese literature. 1.) 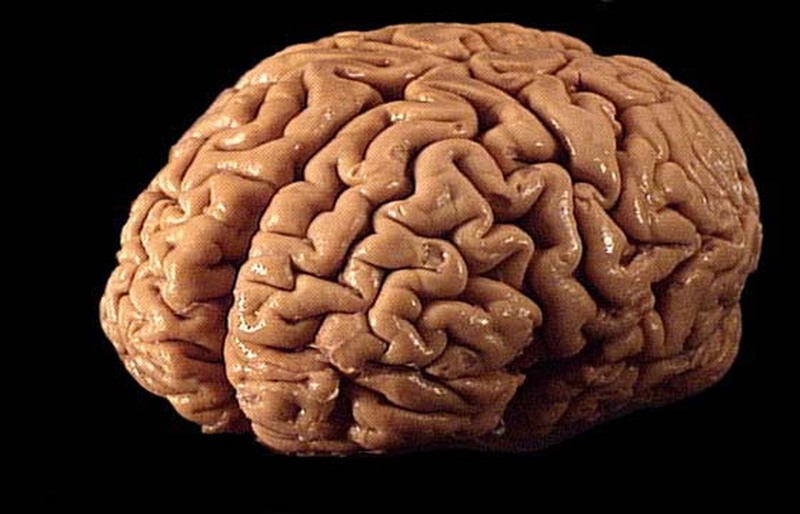 10%: As this story goes, we humans only use about 10 percent of our brain’s capacity. This long-debunked myth is so well ensconced that there was a film built around the premise as recently as 2014. 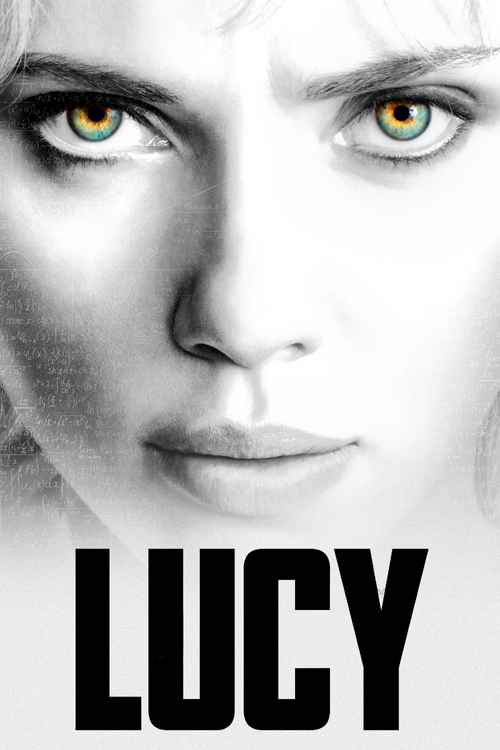 That movie, “Lucy”, features a titular character who accidentally ingests an overdose of a drug that allows one to exploit increased levels of one’s mental capacity. Admittedly, by the movie’s end the 10% myth is one of the lesser violations of reality because as Lucy gets closer to 100% of mental capacity all the laws of physics dissolve in her presence. Why does this myth get so much play? There are two likely reasons. One is wishful thinking. We’d all like to think there is much more available to us. And lucid moments of meditation or flow, we may even feel that we have tapped into a vast dormant capability. (In both the aforementioned cases, it’s interesting that the enhanced performance we may experience is a function of parts of the brain shutting down and not increased capacity ramping up.) The other reason is that people see savants of various sorts, but they don’t account for the full picture. There are people who can carry out activities with their brains that seem supernatural. However, it should also be noted that savants who can memorize phone books or tell you the day of the week for a random date hundreds of years ago [or in the future] often suffer corresponding downsides with respect to their brain activity. Of course, there are people who are just geniuses. Geniuses are endowed with more intelligence than most of us. They have a bigger pie; they aren’t just eating a bigger slice. 2.) Left and Right Brained: The myth is that some people use one of the hemispheres of their brain much more than the other, and that this explains why some people are creative and artsy and others are logical and mathematical. We must be careful about the nature of the myth and separating it from reality. The science is NOT saying that there aren’t some people inclined to be “artsy” and some inclined to Spock-like rationality. Clearly, these personality types exist. The science is also not suggesting that there aren’t some functions that are carried out exclusively in one hemisphere–e.g. language is a left brain function. The myth says that predominant use of one hemisphere is the cause of these extremes of personality type. This myth has had–and continues to have–a great following, but it’s not supported by the studies that use the latest brain imaging technology to see exactly where the brain is being active. For the science, see: Nielsen JA, Zielinski BA, Ferguson MA, Lainhart JE, Anderson JS. 2013. “An Evaluation of the Left-Brain vs. Right-Brain Hypothesis with Resting State Functional Connectivity Magnetic Resonance Imaging.” PLoS ONE. 8(8): e71275. 3.) The Conscious Mind Makes All Our Decisions: We all have a conscious mind that we think is our ultimate decision-maker. The evidence, on the other hand, suggest that this is wrong. It turns out that it’s entirely possible for an entity to think it has decision-making authority, when–in fact–it’s finding out about the done deal decisions after the fact. Like the left / right brain myth, this is an idea that was firmly affixed right up until brain imaging technology became sufficiently sophisticated to see what parts of our brain were firing and when. In the wake of such imaging studies, we could see that the subconscious mind does its work first, and this has led to the widespread (though perhaps not consensus view) that decisions are made subconsciously before they filter up to our conscious minds. There are many sources of information on this idea, but one popular book that is built around the idea is David Eagleman’s “Incognito“, a book that devotes itself to the part of our neural load iceberg that goes on below the waterline (i.e. subconsciously.) Scientists often compare consciousness to the CEO of a large and complex corporation. The CEO doesn’t personally make every decision. Instead, the CEO sets an agenda and the strategy, and–if all goes as planned–the decisions that are made are consistent with those overarching ideas. It’s easy to see why this myth is persistent. First, if part of a process is buried from view, as subconscious thought has been (and–to a large extent–continues to be) then it’s easy to see how humanity would develop a story that excludes it and fills in from the visible parts. Second, there is immense vested interest in protecting all sorts of views of consciousness that are embedded in religions and quasi-scientific undertakings. I’ll attach this video by Alfred Mele that contradicts the notion that free will has been proven an illusion. This isn’t to suggest that I’m convinced Mele is right, but he does lay out the issues nicely and more clearly than most. The NIH (National Institutes of Health) offers a quick and clear overview of this science that can be viewed here. 6.) Emotion and Reason Are Forever at Odds: Most people have had the experience of boiling over with emotion. That is, they’ve experienced instances during which they believed a particular emotion didn’t serve them and they didn’t want to be caught up in it, and yet they couldn’t help themselves. It’s clear that there’s an ability to inhibit or suppress emotions; recent findings have suggest that the neural pathways involved with voluntary suppression are different from those used when one is persuaded to suppress the emotion. Of course, there’s also evidence that continually suppressing emotion can have a downside. While it remains an unclear correlation, it’s commonly believed that suppression of emotion is related to untimely deaths from certain diseases–e.g. cancer, and there has been some evidence to support this. Still other evidence supports the notion that there are healthy ways of regulating one’s emotional life rather than the ineffective and counterproductive process of just suppressing emotions. The key may lie in changing one’s way of perceiving events rather than telling oneself to not show emotions. Rather than one’s conscious mind wrestling with the emotion, activities like breath control have shown effective in regulating exposure to stressful situations. The brain is an organ we all possess, and we intuitively think we’ve got a grasp of it. Yet brain science is one of the scientific disciplines in which we have the most to learn.